This minikit includes 18 digital papers (12 unique), 26 elements (24 unique) and 3 clusters all created at 300 ppi. 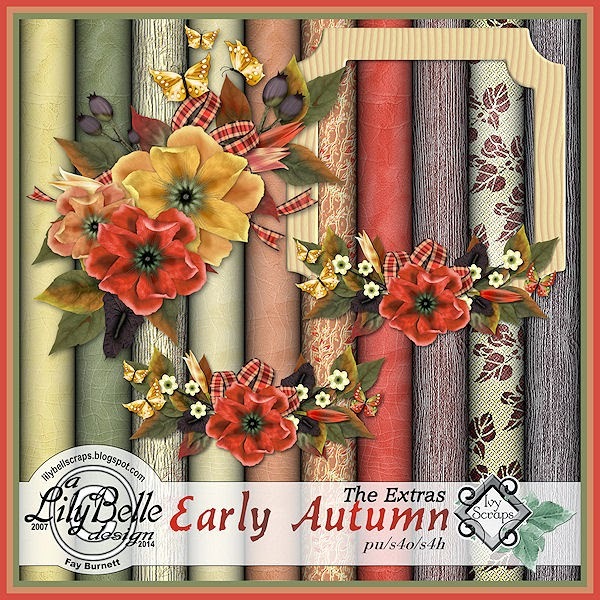 You can buy it for $1.50 in the store at Ivy Scraps OR, if you have posted a layout in Ivy's Gallery that is chosen as the Layout of the Month (LOTM) for September, then you will receive everything previewed below for FREE. Very beautiful. Fall just wouldn't be fall without this kit--it's fantastic and has everything.